I am pretty darn sore today, my friends. But I feel pretty good. Considering how yesterday's race wasn't the one I was training for and I STILL met my (very conservative) goal, I'm pleased. My best friend Becca and I decided to do the half, but not race it - we were going to keep up our training interval for six miles, as if we were doing our normal weekend long run, and then take it easy for the rest of the race. With a walker-friendly four-hour course limit, I had no reason to worry. In fact, I was banking on finishing in 3:30. 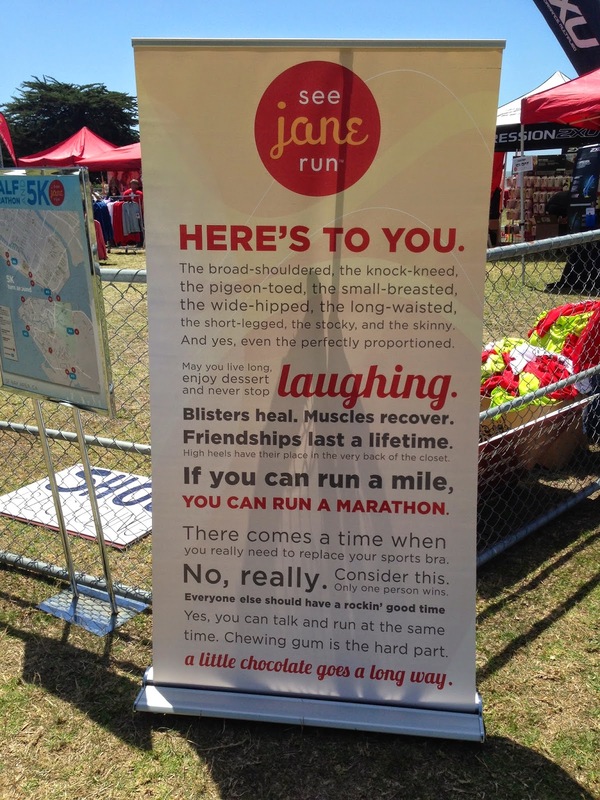 This weekend is the See Jane Run Half Marathon/5k in Alameda, and I am excited because I'm a SJR Ambassador, and I am happy to represent this wonderful company and event. 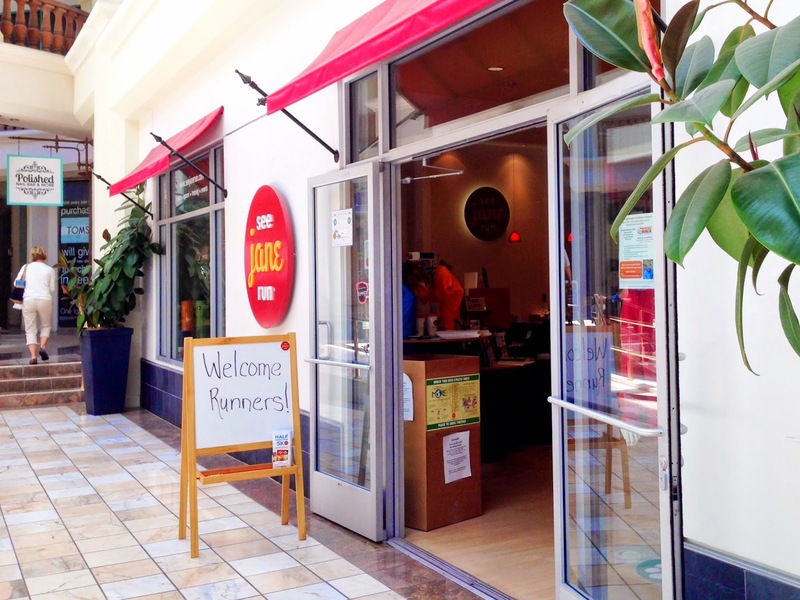 Earlier this week, I made my first sojourn to a See Jane Run store. I know, shameful that I've never visited one, right? The truth is, the nearest location to me is still over 30 miles away, so most of my patronage of SJR has been electronic. I was definitely excited to come pick up my packet in person and scope things out. This has definitely been a blitz! This is one of my favorite book series. A quick primer: This is a Victorian steampunk universe where vampires, werewolves, and ghosts exist and are "out" in society, all trying to get along. They are considered supernatural, existing because of an excess of soul. Balancing out the supernatural are humans who are called preternaturals, and they have NO soul. They are able to render the supernatural human with just a touch. The main character, Alexia Tarabotti, is a preternatural - in addition to being a spinster, a bluestocking, and a half-Italian with a large nose and a penchant for unusual parasols and the handsome Alpha of the local pack, Lord Maccon. Now that it's summer vacation, I've got a lot more free time on my hands to read (as opposed to "time I should be doing something else, but I'm going to read instead anyway"). I have a pretty lengthy to-read list, but I sat down and narrowed it down to these, and I'm hoping to blog as many of them as I can along the way. Of course, I will end up adding more, I'm sure - I'm always getting book recommendations left and right. The reviews below are spoiler-free. 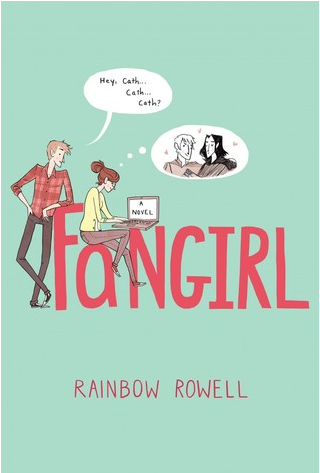 First up is Fangirl by Rainbow Rowell. I had read Eleanor & Park earlier this year and thought it was just AMAZING, and this book has been on my radar a while as well, so I really wanted this to be my first read for summer. 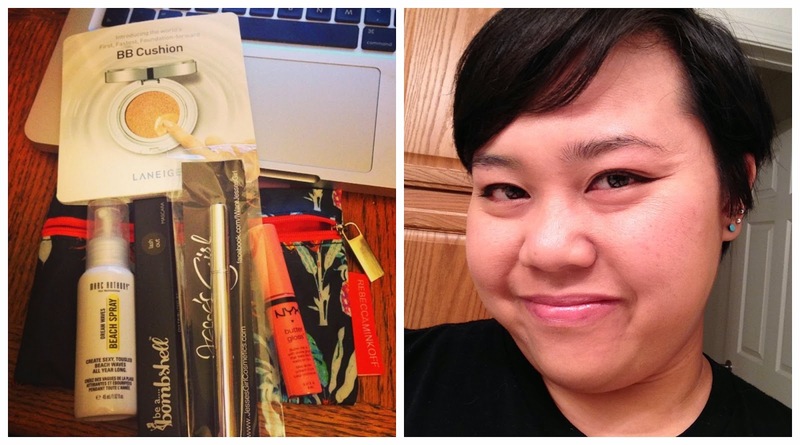 Ipsy bag, June 2014 - "Pretty in Paradise"
I haven't blogged about my Ipsy bags for a while - to be honest, my bag last month was completely underwhelming, between the canned water, fragrance, and subpar eye shadow. However, the items in my bag this month seemed rather promising, so here I am. First of all, the bag is a Rebecca Minkoff design. I don't actually know anything about Rebecca Minkoff aside from the fact that one of her bags was given away on The Lizzie Bennet Diaries. I assume she's some fancy designer line? My bag has a negative-image of pineapples or something. *shrug* Last month's bag was cooler. I got a Jesse's Girl Cosmetics liquid eyeliner pen. I thought it was a felt-tip liner, but on closer inspection, I found that it wasn't actually felt. In the grand tradition of all things Thu, I signed up for this race on a whim. A friend whose opinion I trust assured me that I was in good enough shape to complete this race even without any bike training, so... I decided just to do it and see. As you know by now, I'm a big fan of Mermaid races - they're well-organized with a great, friendly atmosphere, and the race swag is just awesome. However, I've never cycled competitively before. I mean, I know HOW to ride a bike, but bicycles to me are indelibly associated with summertime trips to 7-Eleven for slurpees and roaming the neighborhood with my third-grade friends. I don't even have a race bike - I have a cutesy pink cruiser that is better suited for trips to the farmer's market in search of organic cilantro than for racing. I might as well just attach a wicker basket to the front. There's something beautiful and lovely about sitting in a huge room and crying with a large group of people. All around me I could hear sniffling and whimpering and people's breaths hitching. My own shoulders shook and my eyes poured forth fresh streams of tears as scenes from my #4 Favorite Book played out before me on the screen.